The capital of the Southern Spiš is Spišská Nová Ves, a distict city with the population of 36 500 spreading over the Hornád River basin. You can find many unique places and the best of Slovakia there. If you are the history lover, don’t miss a beautiful historic city square with the highest church tower. 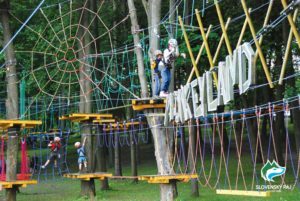 Your kids will surely love the city ZOO, that is the smallest one in Slovakia and don’t forget to check Monkeyland, the safest rope park in Slovakia, once you get here. The culture lovers are invited to visit the Spiš museum, the Spiš Gallery of artists, Spiš theatre located in a secession building of Reduta. If you visit this region in summer, you can refresh yourselves in the local swimming pool resort. 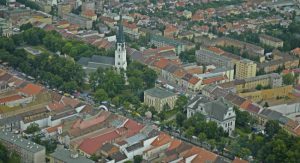 The city is also known as the gateway to the Slovak Paradise as it is a perfect place to sleep over, eat and try different kinds of sport activities and relaxation once you decide for a trip to the National Park. More informative can be found at www.spiskanovaves.sk, search for the visitors’ section at www.navstevnik.spiskonovave.eu. If you want to see the church with the highest tower in Slovakia, you need to visit Spišská Nová Ves. The 87-meter high Roman-Catholic church tower dominates the centre of the city in Southern Spiš. There is a permanent photo exposition of the city history inside the tower as well as a unique clock system that runs 7 tower clock dials and the tallest bell tower in Spiš with 5 historical bells. The panoramic view over the Southern Spiš is breath-taking. You can get it if you get at the top of the tower with 155 steps. You need to arrange the tower visit in advance in TIC SNV, phone number: +421 534298293. During bank holidays and non-working days (1st May., 8th May., 5th July., 29.th August, 1st September and 15th September) just on 15:00 a .17:00. Saturday and Sunday: just on order for bigger groups. 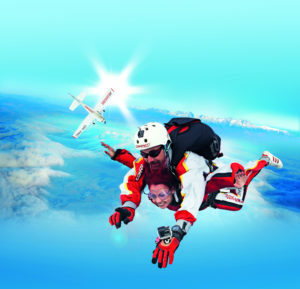 It is neccessary to order and pay for the ascent in the Tourist Information Office in advance. 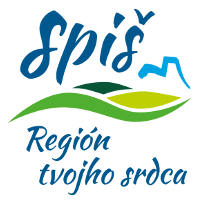 Do you want to get to know the nature, culture and history of the Spiš region? 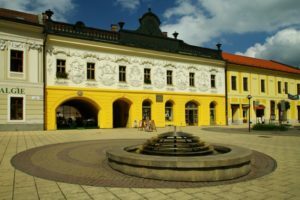 Come and visit the “Provincial house” which used to be a city hall in the medieval times and later on the settlement of Province of 14 Spiš towns. Museum expositions provide an authentic view of the region, natural beauties as well as the lives of their inhabitants then and now. GPS coordinates: 48°56’40.2″N 20°34’06.1″E. For more information go to www.muzeumspisa.sk. You can find Slovak the safest rope park Monkeyland in Spišská Nová Ves, right next to the ZOO. 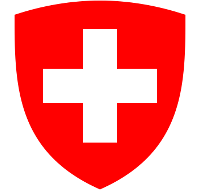 The safety system is so safe, that it’s impossible to fall off and get injured. You can choose from 4 different routes with different levels of difficulty. One of them is the kids’ one and it is 500 metres long with 37 obstacles attached to trees, 3-4 meters above the ground. Alex Park is one of the biggest indoor playgrounds in Slovakia close to the city centre of Spišská Nová Ves. There are more than 50 attractions spreading over the area of 1200 m²: water slides, trampolines, slides, motor-racing circuits for children and much more for your kids. While they are enjoying the playground supervised by animators, take a rest with the delicious cup of good coffee, Belgian chocolate and delicious meals. More information is available on the webpage www.alexpark.sk. GPS coordinates: 48°56’18.1″N 20°34’15.9″E.